The Chinese language is a tonal language. In order to differentiate meaning, the same syllable can be pronounced with different tones – this is the pitch and melodic curve of the voice for each syllabic. Mandarin’s tones give it a very distinctive quality, but the tones can also be a source of miscommunication if not given due attention. (eg: 被子bèi zi, quilt and 杯子bēi zi, cup). The Chinese language is said to have four main tones and one neutral tone (or, as some say, five tones). Each tone has a distinctive pitch contour which can be graphed using the Chinese 5-level system. It means that for one given syllable, or word, you have four different meanings. For example: the word “ma” can either mean horse, mother, hemp, or to scold. Mastering the four Chinese tones is one of the most difficult aspects of learning Mandarin Chinese. When reading pinyin, you can see the tone marks above each Chinese word. First tone: The first tone is high and level. It is important to keep one’s voice even (almost monotone) across the whole syllable when pronouncing the first tone. It is represented by a straight horizontal line above a letter in pinyin (or sometimes by a number “1” written after the syllable). Second tone: The second rises moderately. In English we sometimes associate this rise in pitch with a question. The second tone is represented by a rising diagonal line above a letter in pinyin (or sometimes by a number “2” written after the syllable). Third tone: The third tone falls and then rises again. When pronounced clearly, its tonal “dipping” is very distinctive. It is represented by a curved “dipping” line above a letter in pinyin (or sometimes by a number “3” written after the syllable). Fourth tone: The fourth tone starts out high but drops sharply to the bottom of the tonal range. English-speakers often associate this tone with an angry command. It is represented by a dropping diagonal line above a letter in pinyin (or sometimes by a number “4” written after the syllable). Neutral tone: It differs from the other four tones in that it does not have a defined pitch contour. The neutral tone is pronounced quickly and lightly without regard to pitch. Syllables with a neutral tone have no tone mark (but are sometimes marked with a “5” or a “0” after the syllable). For those studying the Chinese language, this last tone is usually very easy to pick up. Note that aside from grammatical particles, single syllable words cannot have a neutral tone. In Chinese there is no single word that exactly matches the meaning of “yes” or “no”. Words that we can translate to yes / no depend on the context / grammar of the question. “Yes”, frequently translated to 是 (Shì) in English – Chinese dictionaries. The problem is that although in some contexts 是 (Shì) can indeed be used as an affirmative answer, in many it cannot, further the real meaning of 是 (Shì) is “to be” / “it is” (at a fundamental level 是 (Shì) is actually a basic verb which means “is” / “am” / “are”). To answer this affirmatively, you simply repeat the verb once, by saying “会” (huì) what that literally means is “can” or it may be thought of as being short for “I can”, this is approximately translated to YES because it is an affirmative answer in this context. Similarly if you wanted to answer in the negative, you’d say “不会” (Bú huì) — which literally means “cannot” — because this is a negative answer it could reasonably be translated to mean NO. In this sentence “是” (shì) is the verb, which means “to be” (it is actually the “Are” in “Are you Chinese?). So to answer this affirmatively, one would simply say “是” (shì), literally “am” (again this could be thought of as short for “I am”), and this can be reasonably translated to YES because it is affirmative. Similar to the previous example, the negative answer would be “不是” (Bú Shì) literally “am not” which could reasonably be translated to NO as it is negative. The affirmative / positive answer is simply given by saying “有” (yǒu) and the negative answer is 没有 (Méiyǒu). 在 (zài) is the verb, which means “are” in when referring to doing things (other verbs). The positive answer (YES) is simply “在” (zài) literally “am” when referring to doing things. The negative answer is “不在” (Bú zài) (NO). 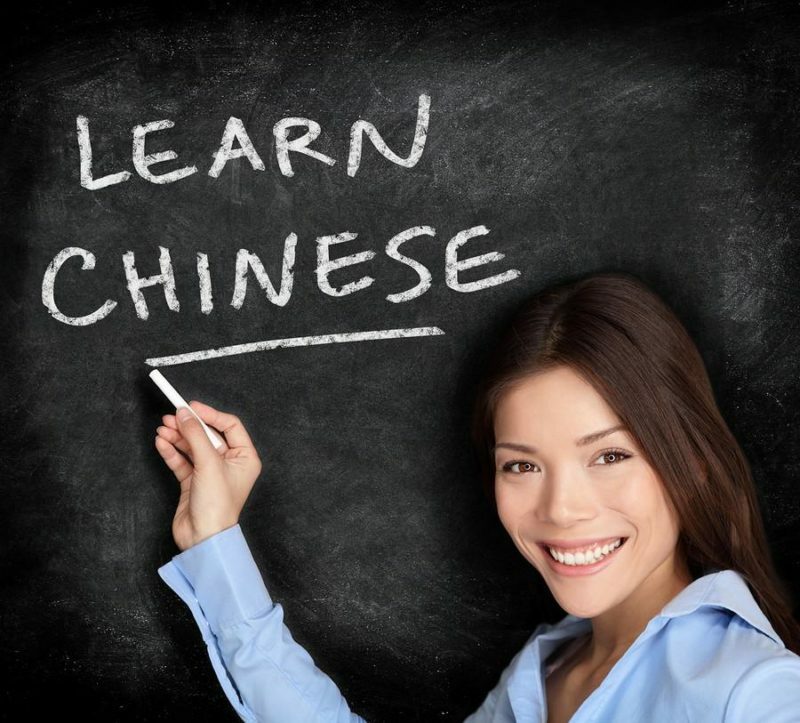 That just about wraps up this crash course on the Chinese language. Feel free to check out some of the related posts below for more info!